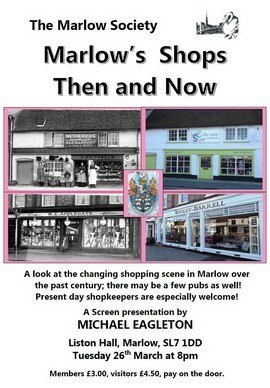 A look at the changing shopping scene in Marlow over the past century; there may be a few pubs as well. Present day shopkeepers are especially welcome. Members £3.00, Visitors £4.50, pay on the door.